To say that the title character and protagonist of Karnak was a left-field choice to headline his own book would be an understatement. Karnak has, historically, been an ominous supporting character in many a storyline involving the cult Kirby superhero group, the Inhumans. He’s a figure of mystery and menace who represents a blend of the intellectual and visceral. 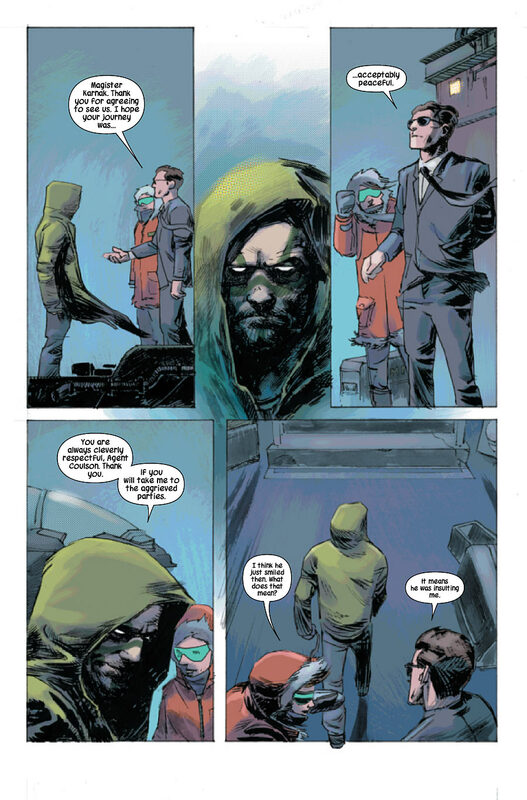 Karnak harbors the ability to find a weak point in anyone or thing; once he has found that flaw, he prods it until the entity it exists within breaks. As Warren Ellis writes him in the first issue of this new series, he’s less a righteous figure battling evil and more an aloof antihero, impossible to read and potentially lethal to those who oppose him. His idea of compassion comes across in statements such as, “I can comprehend the relative difficulty of your lives,” said to the parents of a kidnapped child. He lives in a tower where he leads a group of monks; the resulting character plays out like an unpredictable philosopher cast into a shared superhero-dominated universe. This is a good thing. Introduce superheroes to the parents of an Inhuman child who’s been abducted and the caped ones will most likely fly off immediately in search of them, virtue as its own incentive. Karnak, meanwhile, requests a donation for his religion and unsettles the SHIELD agents (including Avengers breakout spook Phil Coulson) working with him. He’s an ideologically consistent character, but one coming from a very different ethical and philosophical background. Alternately, this scenario is a reminder than he’s an outlier among outliers. 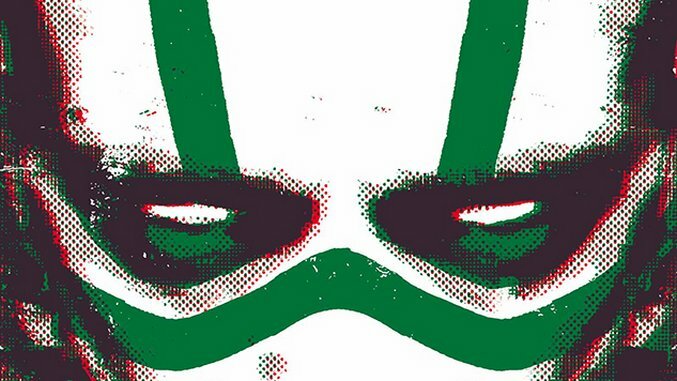 The plot presents a strong answer to the question of how Karnak works as a lead: put an unconventional character into a traditional story and watch him either knowingly hit or cleverly subvert the expected beats. 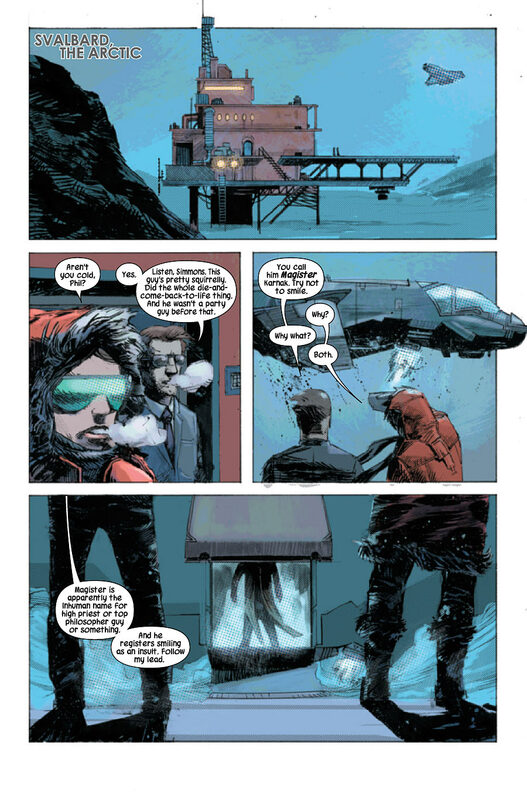 As readers of Ellis’ runs on Moon Knight and Global Frequency can attest, the man is fond of neatly-orchestrated fight scenes, of which this series promises plenty. 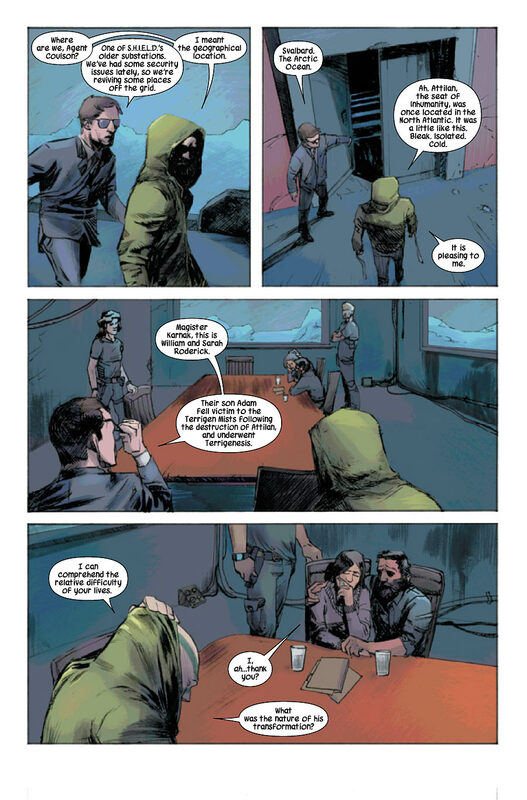 There are a few moments of combat in this issue in which time seems to slow down and reaccelerate, suggesting Karnak’s talents at both perception and execution. Zaffino’s art relies heavily on atmosphere, and he’s equally capable with secret bases and the stone walls of Karnak’s home, the Tower of Wisdom. As Much as Karnak is a contradictory character, this issue abounds with interesting juxtapositions. Some of them are wry: a quartet of monks pulling open steel doors so that Karnak can use “the infernal device”—i.e. a telephone—makes for a good blend of the archaic and the modern, the casual and the complex. 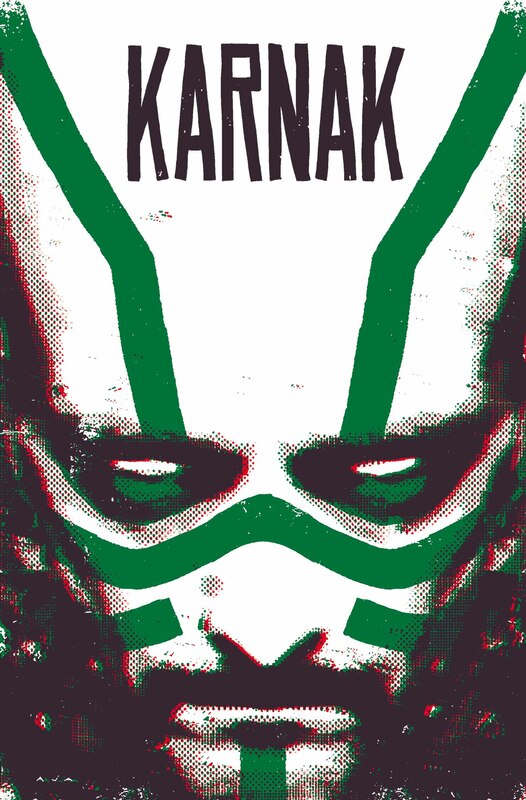 Karnak himself is far from warm, and his interrogation of an antagonistic figure plays out in a morally discomforting way for both readers and the characters present. In this first issue, Ellis and Zaffino introduce an interesting take on a character often relegated to the periphery of a fringe group. It’s a unexpected perspective into an unpredictable corner of the Marvel Universe, and it’s certainly off to a compelling start.